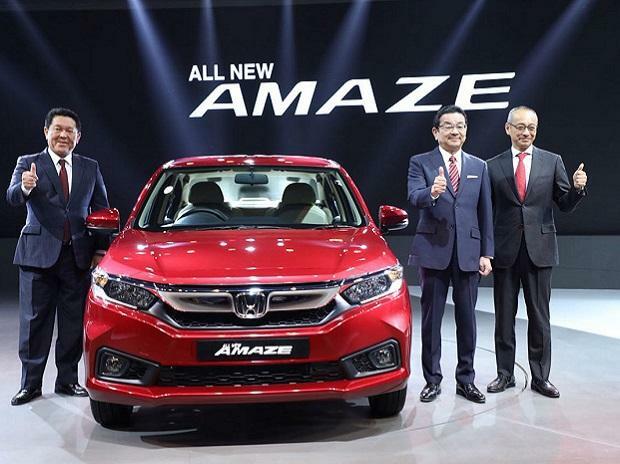 Honda Cars India will launch six new products over the next three years as part of its strategy to claw back to a dominant position in the passenger vehicles segment, a top company official said today. The company, which today launched the all-new version of its compact sedan Amaze, priced between Rs 5.6 lakh and Rs 9 lakh, also said it is in the process of formulating a strategy for electric vehicles specifically for the domestic market. "Starting with new Amaze we will be launching three new products this fiscal. In the next three years, we will bring another three new models in India," Honda Cars India Ltd (HCIL) President and CEO Gaku Nakanishi told PTI in an interview here.